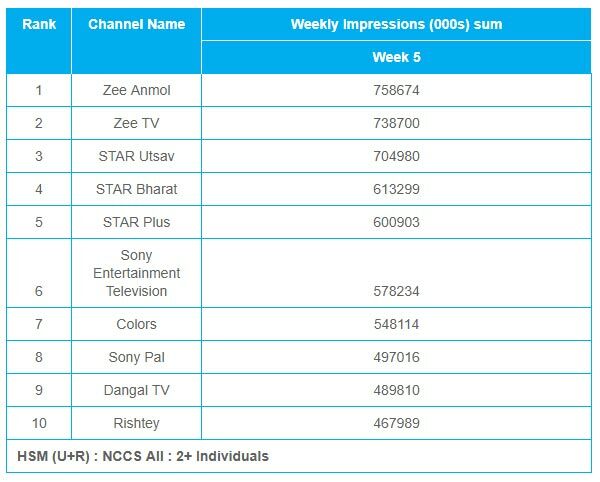 Zee Anmol topped GEC (U+R) and R.
Zee Anmol continued to be in first position. Star Utsav climbed a slot to second from third position. Dangal TV stood at third position from ninth position. 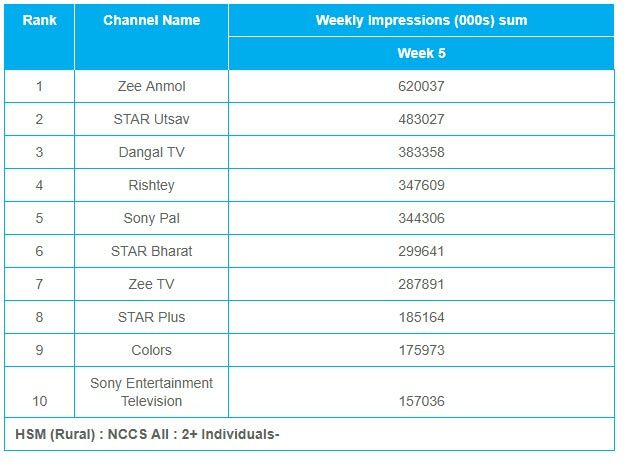 Rishtey and Sony Pal interchanged their fourth and fifth positions. 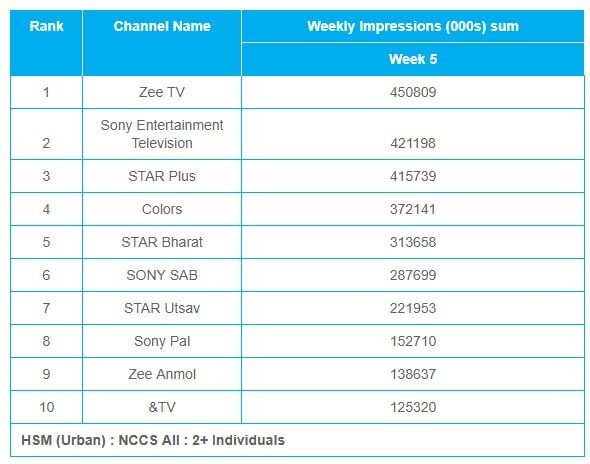 Star Bharat, Zee TV, Star Plus and Colors maintained their sixth, seventh, eighth and ninth positions respectively. Sony Entertainment Television emerged as the new leader by bagging tenth position.